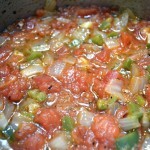 Salsa Roja is a salty and sweet salsa that’s native to El Salvador. 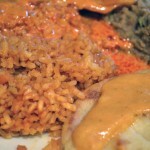 Unlike many Mexican salsas, you won’t be blown away by the spice and will be surprised at how easy it is to consume. Many Salvadorans use this as a topping or dipping sauce for their pupusas and we recommend you do the same. Heat oil in a medium saucepan over medium heat. 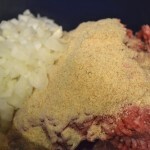 Add onion, garlic, and chile and sauté for 2 to 3 minutes, or until the onion is translucent. 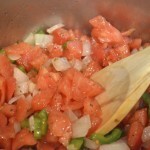 Stir in tomatoes and oregano and simmer for about 10 minutes. 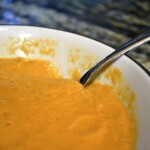 Remove from heat and let cool to around room temperature. 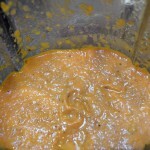 Pureé entire mixture in a blender until smooth, adding water as needed. Mixture should be thin, not at all chunky. Add salt and pepper to taste and top with cilantro if desired. 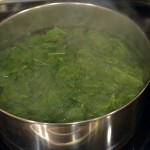 It turns out blanching spinach – like blanching anything – is a piece of cake. But just in case you aren’t sure (as I wasn’t at one time), here are some instructions to guide you. Was and prepare your spinach as desired. 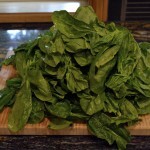 For example, if you want to cut off the stems or chop the spinach down, do so now. Bring a large pot of water to a bowl over high heat. Place a large handful of the spinach in the pot of bowling water. Wait about 30 seconds or until you see the spinach turning a deep green color. 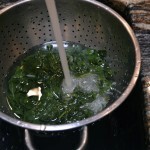 Using a large spoon or strainer, remove the spinach from the bowling water and place into a colander. 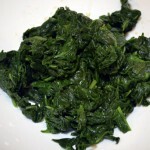 Immediately run cold water over the spinach to stop the cooking process. Squeeze out any excess water in the spinach. That’s it! Just keep repeating these directions for as much spinach as you have. Good luck! 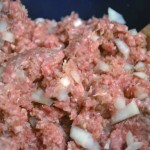 Plain ‘ole beef hamburgers can get boring, but this recipe incorporates some onions as well as garlic salt to give the hamburgers an extra kick. 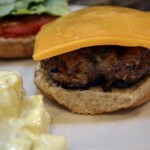 I’ve tried these hamburgers a couple of times and were impress with their taste. Add on some delicious potato salad and watermelon and you’ve got a perfect summer meal! Preheat an outdoor grill on high heat or use an indoor skillet on medium heat. In a large bowl, mix together all ingredients. You can use a spoon for this, but your hands work as well. Divide into eight balls of equal size. 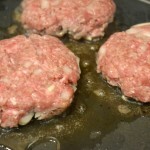 Pat down balls into patties, then push your thumb into the middle of each patty. 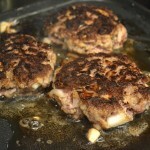 This helps the patties to cook flat instead of bulging in the middle. Lightly oil the grate of your grill (or lightly oil your pan). Cook for about five minutes per side or until firm and no longer pink in the middle. On an indoor skillet, we recommend 8 minutes per side. Serve on toasted buns with whatever topping you like!